The Food and Health Network (FaHN) bridges connections between local agriculture, education and healthcare to build stronger food-secure communities. With tons of great programs and volunteer opportunities, the new website’s overarching theme needed to reflect one of the organization’s key values–accessibility. The Idea Kraft team took a friendly, colorful approach to building this resource hub. We used bright and textured photographs to catch the viewer’s eye and draw them into the site. 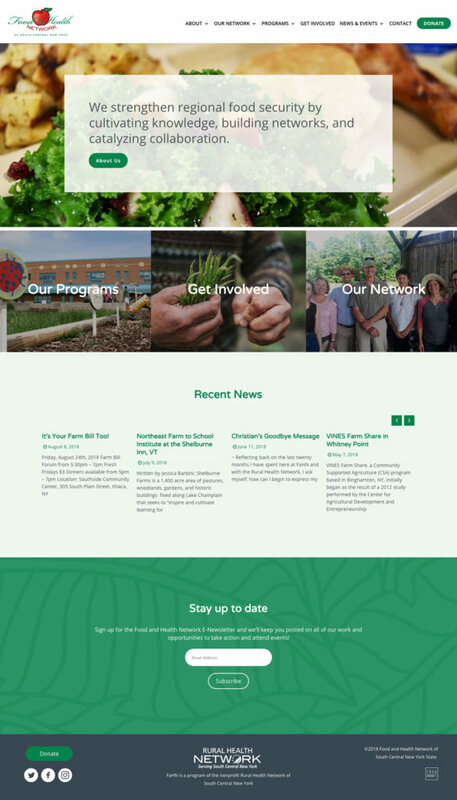 The vibrant homepage immediately communicates what FaHN does with three important features: community programs, volunteer opportunities and an expansive network. We organized these programs and resources through intuitive navigation. With every click, users can follow where they are on the site and feel comfortable exploring it further. The recurring calls to action engage visitors and help communicate the FaHN’s goals. We also designed playful infographics to visualize impressive statistics and break up the copy. By streamlining content, we created a cleaner design that allows visitors to discover lots of information without getting overwhelmed. It’s important to us that our clients feel comfortable maintaining their websites long after we launch them. That’s why we made sure the back end of the site looked as good as the front end. It’s clean, secure and easy to update. 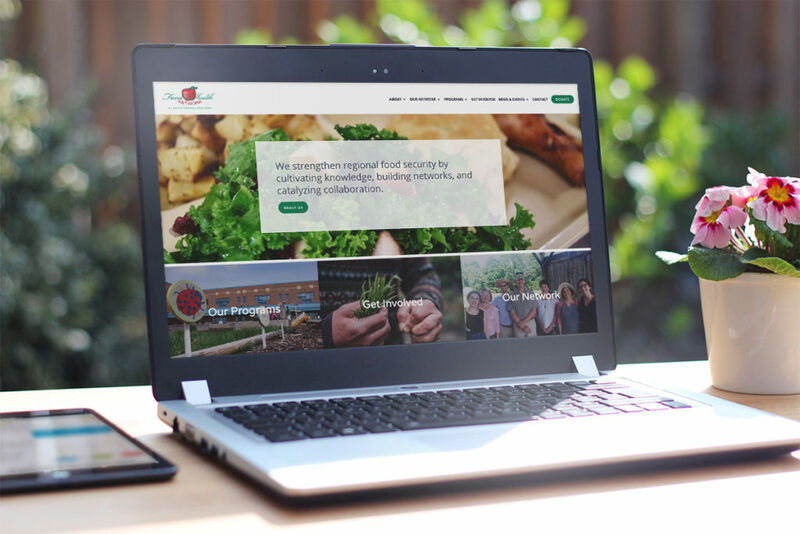 Whether it’s getting ahold of local food or information on a website, this project showed us that accessibility can have a domino effect of positive change in a community.